I have done more work as a Literary Detective than as Literary Critic, but still-in addition to various papers for graduate classes-my Master's thesis (1982) and doctoral dissertation (1987) both included Literary criticism, for example in discussing illusion versus reality in Nathaniel Hawthorn's short stories and his novel, The Blithedale Romance (1852), and the disappearance theme in Ambrose Bierce's Can Such Things Be? (1893). 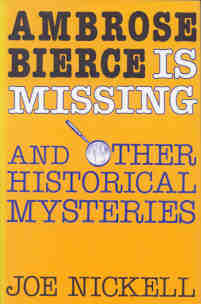 See my Ambrose Bierce Is Missing.